If you deselect all 4 of these options, RPM will use the font size you specify. The calculate layout setting (if available) changes font size too, so it should be disabled. If you are going to use any of these options, you should use at least two of them: one specifying width, the other specifying height. 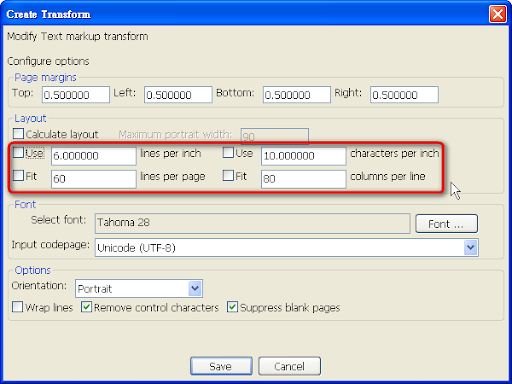 When set, RPM will increase or reduce the font size depending on your paper size and margins. If you need to fit more lines on the page or characters on the line, simply increase the appropriate setting. Decrease it to fit less. In RPM 5.0 there is a font selection dialog as well as four page metric settings that can be used to control font selection. The four page metric settings will override the settings that are selected from the font dialog. For that reason, you should set the font via the dialog and uncheck the boxes for the four page metric settings, or you should use a combination of the page metric settings and disregard what the font dialog shows. 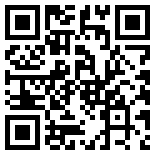 Attempting to use both will not produce the desired output. In RPM 4.5 the settings are arranged differently but the effect is the same. If you attempt to specify columns per line or lines per page, those settings will override the font chosen from the dialog.